Come and join us these July holidays and see our newest additions. We have recently acquired a pair of Marabou Storks, Blue-grey Tanagers, Luzon Bleeding-heart Doves, Vinaceous Amazon Parrots and Grey Peacock-pheasants as well as a Green Aracari, Red-faced Mousebird, Lesser Sulphur-crested Cockatoo, Plum-coloured Starling, Green-winged Dove and Violet Turaco. This is in addition to a Narina Trogon, Buff-spotted Flufftail, African Crake and Red-chested Cuckoo which also went on display at the end of June. We are in the process of constructing 9 new enclosures which were damaged during the installation of our storm-water drainage system last year and these will be open within the next 2 months. These enclosures will house a collection of “softbills” which are birds with a predominantly fruit, insect and grain diet. Some of the birds planned for these new enclosures are Toco Toucans, Nicobar Pigeons, Pied Imperial Pigeons, Guira Cuckoos, Scheepmaker’s Crowned Pigeon, Violet Turacos, Lady Amherst’s Pheasants, Ring-neck Pheasants, Silver Pheasants, Crested Wood Partridges, Malay Crestless Fireback Pheasants, Siamese Crested Fireback Pheasants, Reeve’s Pheasants, Swinhoe Pheasants, Palawan Peacock-pheasants, Kalij Pheasants, Golden Pheasants and Grey-peacock Pheasants among others. The opposite side of the pathway will be home to some of our larger meat-eating birds like the Silvery-cheeked Hornbills, Trumpeter Hornbills, Black-casqued Wattled Hornbills, Pied Crows, Laughing Kookaburras, Blue-winged Kookaburras, Crested Guineafowl, Helmeted Guineafowl and Common Barn Owls. We are constantly changing and improving the park and encourage you to keep coming back to see the changes. 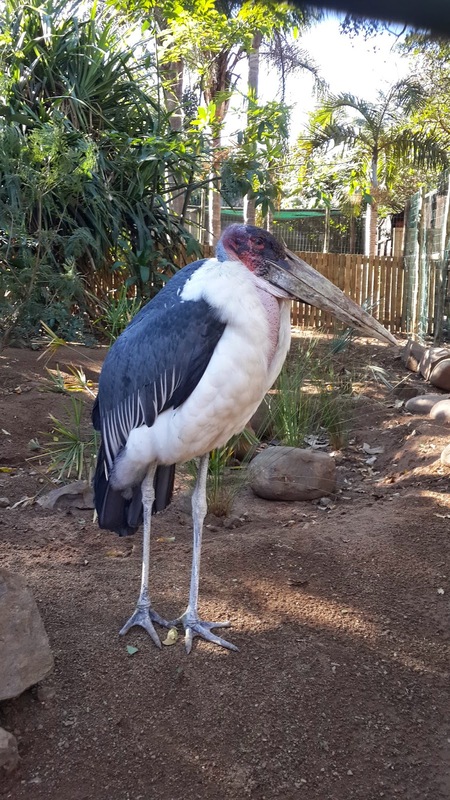 With more than 700 birds from 180 species on display, there is something for everyone at the Umgeni River Bird Park.